A few weeks ago I had the opportunity to speak at the Programmatic TV Summit and I want to share some thoughts and observations. We are all discussing “programmatic tv” or “technology enabled buying” or whatever the current term may be. The Programmatic Summit was a nice summation of today’s viewpoints, with three key areas shaping most of the conversation around programmatic: audience, inventory, and measurement. If we are going to buy and sell programmatic advertising, then the sellers need to determine how they define the audience. The ability to scale the audience is imperative. Although some advertisers are merely looking for brand awareness with an appeal to a broad demographic (happy to buy based on the sheer number of eyeballs) others have already adopted more targeted advertising as part of their strategies. These buyers are seeking to narrow the audience and gain access to more defined consumer behavior information. The fact that there is data to help target audiences is great, but how do we decipher which data is good and effective? The pressure is on data sources to provide their ingredients, if you will, with one panelist asking for just that, like you would find in any food at the market. There were a few salient points that were made in regards to inventory, but the primary one was around how transparent the inventory needs to be and to whom it's exposed to. Closed inventory results in several phone calls back and forth and there was also concern over diminishing the CPM value should all inventory and its rates become transparent to the buyer’s side. At the local TV level, a panelist said that over 95% of the inventory sells out at premium, leaving little to no inventory left for programmatic sales. While small, this does not necessarily eliminate the idea of technology-enabled sales to assist and move at least a portion of the premium inventory more effectively. One panelist defined programmatic as being the full buying and selling of inventory by machines. While technology enabled, or automated buying, as having technology assist humans in the process of selling inventory. This is a key distinction that shifts the trend in linear from thinking it will be all programmatic, but that actually technology enabled buying will rise in the future. Success needs to be measured and so the conversation clearly turned to how will the industry evolve on this front? Will linear take on the same impressions-based measures as digital? If so, how does one deal with over delivery and what might be the impact to margins if over delivery is not calculated and charged? How can we convert metrics to provide a more standardized baseline across platforms and who gets to be the one that sets the unit of measure? Google and Facebook were mentioned several times throughout the day when discussing measurement. It was easy on one hand to say we need measurement similar to what Facebook and Google provide, but this raised the issues of ad fraud, below the fold impressions, and overall operational issues. How can we do better? From my perspective, the ad-buying world wants a common currency, but I will argue that the medium on which an ad is served to a consumer, and the content in which that ad is served, will have a larger impact on desired actions. In other words, a person can see the same ad on a phone when searching for a recipe or when watching a show on the Food Network and the influence of that ad may be quite different. How does one measure impact? Does the ad buyer get all the benefit of impact? Or is the seller of the inventory able to gain from a better medium, better content? The common thread throughout the day and in discussing these core areas of programmatic was that it is here and happening and now. It’s just a matter of monetizing it for the sell side and delivering a worthwhile ROI on the buy side. “We need to make it easy and fast,” was echoed by more than one person. As a media ad sales platform provider, we are focused on building bridges that provides the sell side with more tools to identify audiences quickly and easily, streamlined access to a secure inventory, and the analytics necessary for advertisers to quantify their ad buy. Certainly technology-enabled ad buying and programmatic platforms have a growing place in a media ad sales operation and it is up to us to leverage the opportunity to its fullest potential. It is also my belief that programmatic will pave the way for significantly advancing automated advertising on multiple screens in a way that helps break down the fictitious walls that have yielded siloed operations for years. More on that another time. 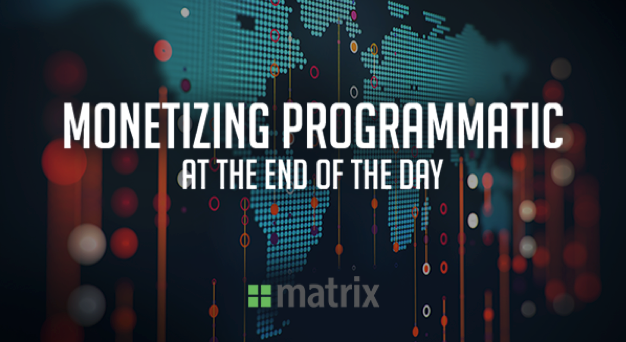 How are you handling and measuring programmatic? What metrics are vital to your operation? Feel free to tweet us your thoughts.